This Muse Wednesday my guest Muser is best-selling author C.J. Lyons. C.J. along with me, Heather Graham, Jordan Dane, and Lori Armstrong (aka Lorelei James) will be in Cleveland next week at Bouchercon 2012. Our panel, The Murder, Mayhem, and the Mattress Mambo panel is scheduled for Friday, October 5 at 4:00 P.M. If you are in Cleveland or nearby, you need to come see us. 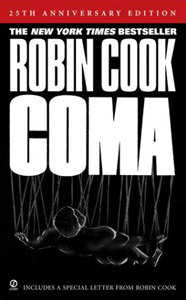 Robin Cook’s classic medical thriller, Coma, didn’t inspire me to become a writer. I first read Coma (and saw the movie) almost a decade after its publication. By that time I’d already written three novels: a YA Fantasy I wrote in high school and two space operas written in college and med school. Coma changed my attitude towards both writing and medicine. As a writer, I realized that my words could both entertain and empower. And as a medical student practically living in the lecture hall and labs, I was drawn to any depiction of how “real” doctors treating “real” patients lived. Although most of Coma‘s audience was captivated by the conspiracy theories and the creepy long-term care institution (all those bodies strung up like marionettes! ), what interested me was the depiction of a woman medical student as the main character. 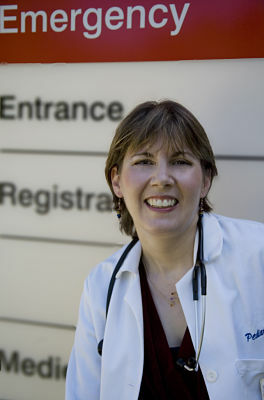 I loved the scene where Susan rejects the nurses’ scrub dresses and enters the doctors’ lounge (male only), surprising her male classmates and the surgical resident in charge of them. A decade later, when I was in medical school, similar attitudes prevailed. Seeing a woman—even a fictional character—meet and overcome those attitudes with a sense of humor, fast thinking, and sheer perseverance was inspiring. Even the villain wants to save humanity—despite his attempts to kill Susan, murder innocent patients, and profit from the sale of his bootlegged human organs. When Susan confronts him at the end, he answers her accusations by saying, “Breakthroughs do not come easy, not without hard work and sacrifice. Not without a price.” Then he goes on to compare himself to Leonardo da Vinci and Copernicus. Isn’t that the heart of a good thriller? Both good and evil striving to rule the world—not solely for personal gain but because they each feel they know how best to save humanity. With stakes that high, and danger lurking in places like hospitals where we all are at our most vulnerable, compelling fiction is certain to follow. New York Times and USA Today bestselling author of sixteen novels, former pediatric ER doctor CJ Lyons has lived the life she writes about in her cutting edge Thrillers with Heart. ~ by Monette Michaels on September 26, 2012. Gotta say I loved this book, and it hooked me both on Robin Cook and medical drama/thrillers/suspense. And while my favorite genres are Paranormal Romance, Urban Fantasy, and horror, I always take time to read Robin’s books. Good post.